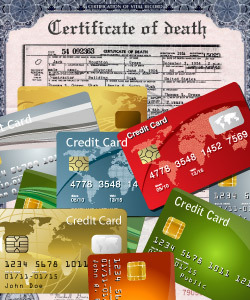 If you carry debt, do not assume that your death or incapacity will make it automatically disappear. To the contrary, the money you owe may eat away at the assets you were planning to leave to your heirs or — if you owe a large amount of money — may wipe out your estate completely. Debt comes in many different forms including credit cards, student loans, car payments, mortgages, and other financial obligations. Estate planning lets you name people you trust to manage your affairs if you’re unable to do so and lets you indicate who will receive your property upon your death. While estate planning typically focuses on ensuring your assets will be distributed to your intended beneficiaries upon your death, the collective purpose behind financial and estate planning is to ensure that you’re building the largest nest egg possible and then protecting your family and loved ones in the event of your death or incapacity. For this reason, knowing what your debts are and implementing the proper estate planning will allow you to ensure those you leave behind are not left drowning financially. You will also be able to rest easy knowing what you’ve built will go to those you want, rather than to the creditors. There are two types of debts: secured and unsecured. Secured debt is a loan that has been guaranteed by some form of collateral. If a borrower defaults on a secured loan, the lender can recover the collateral. House and car loans are the most common forms of secured debt. Unsecured debt, on the other hand, does not involve collateral. If the borrower defaults on an unsecured loan, the lender typically needs a court order to recover a judgment against the borrower or the borrower’s estate. The most common type of unsecured debt is a credit card account, although other common unsecured debts include most tax debt, personal or signature loans, student loans, or payday loans. While some debt, like many federal student loans, goes away upon your death, others do not — like mortgages and home equity loans — leaving your family potentially on the hook. Secured debts essentially become the responsibility of the deceased’s estate because if the payments stop then the bank can retake the collateral. If you have a will-based estate plan, the process of paying off debts and distributing whatever assets are left over (if any) is a court process known as probate. If you are using a trust, then your successor trustee will follow a similar process, but it won’t necessarily involve a court. Creditors are typically barred from going after retirement accounts or life insurance benefits because these often go to the named beneficiary, escaping the probate process. But, if the named beneficiaries are no longer living, the death benefit may go to your estate making it subject to creditors. Naming proper beneficiaries is key when protecting these larger assets from creditors after your death. A comprehensive estate plan that includes an up-to-date will or trust and beneficiary designations can protect your family against the impact your debt may have on your estate. A little bit of planning can go a long way in ensuring your family and loved ones are protected in the event of a tragedy. Of course, joint account holders and co-signers are held fully responsible for the entire debt even if all the charges were only made by one borrower. If you have loans that family members have co-signed for, let us know so we can develop a strategy to ensure your death doesn’t create a financial burden for them. Even for other debts, some creditors may try to collect from your family. For this reason, it’s always best to make sure your family knows you have a plan and knows to turn to us for help if you become incapacitated or upon your death. While the tools typically used in estate planning may appear to be interchangeable, the planning process and the resulting documents, like a will, trust, and power of attorney, are as unique as the person. Working with us, as your knowledgeable estate planning attorney, can make it easier to address your needs and reduce the impact of your debt on your loved ones.